The law denies all smoking in the airport. Just want to confirm, that the smoking room already mentioned on the website is still available. Update from Jozef on the 19th Feb 2019. On a good day the clerk at the "secret place" will let you know that they don't give a flying f**K If you smoke in that one room with insane air conditioning and under pressure. 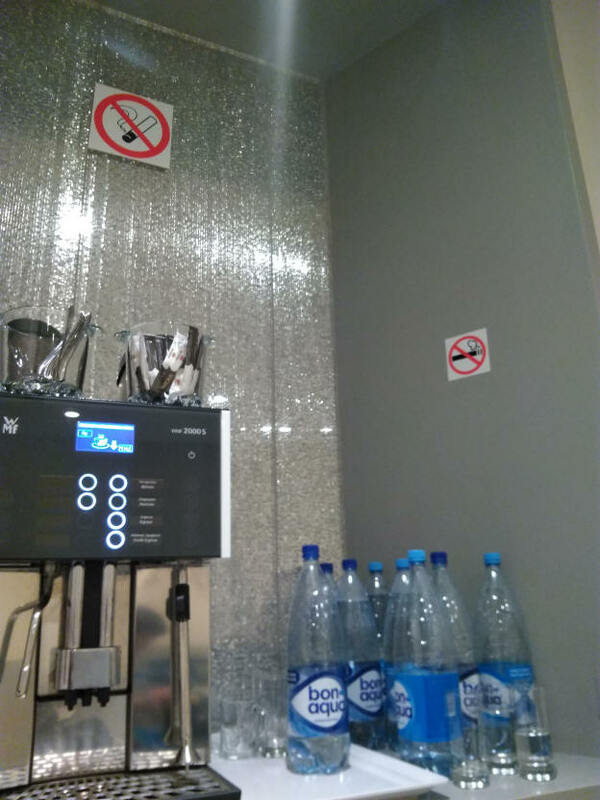 No ashtrays are provided, as you "can't" smoke there. But plenty of plates to use as ashtrays. Fee is 50€ if no access otherwise, like Diners Club etc. I will not name that place but smokers should seek the capital of Russia. And you get food and drinks for that price too. Feedback from Dan V. on the 10th July 2018. Photo below. 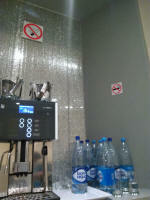 Found smoking area in Moscow, Sheremetyevo airport at terminal D between gates 29-30. 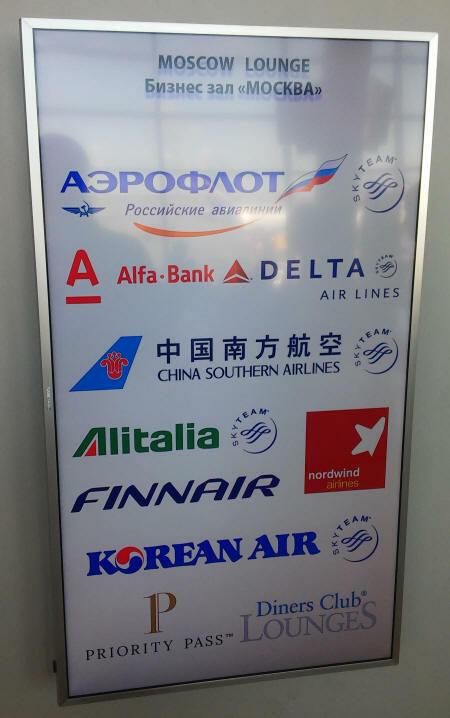 Area isn't public but is located at business lounge "Moscow" on 4th floor. Access to members only (below photo if accepted memberships) or 3500 RUB if you don't have member card. Feedback from Jurijs on the 7th May 2018. There is no smoking area inside, the map is wrong. But there is some IQOS shop where you can "smoke" and try the IQOS "cigarette" That has saved our life :). Feedback from Gery on the 30th November 2017. There is no smoking area in this terminal. Feedback from Natali on the 15th March 2018. 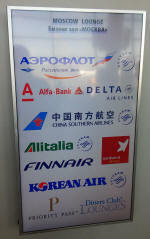 Inside Space Lounge (Sky Team & Priority Pass affiliated), there is a nice smoking area. Looks like it was recently converted from a conference room, because the "no smoking" sign is still inside. Feedback from Grega B on the 10th June 2018. For connecting flights you may need to enter Russia and smoke outside terminal then go through Security again for your flight. Most of the smoking areas were closed by court order in 2014.